I recently rearranged my girls' rooms. There was a need for me to update some of the wall art. I decided I would try some of my cut outs to make a print for their wall. 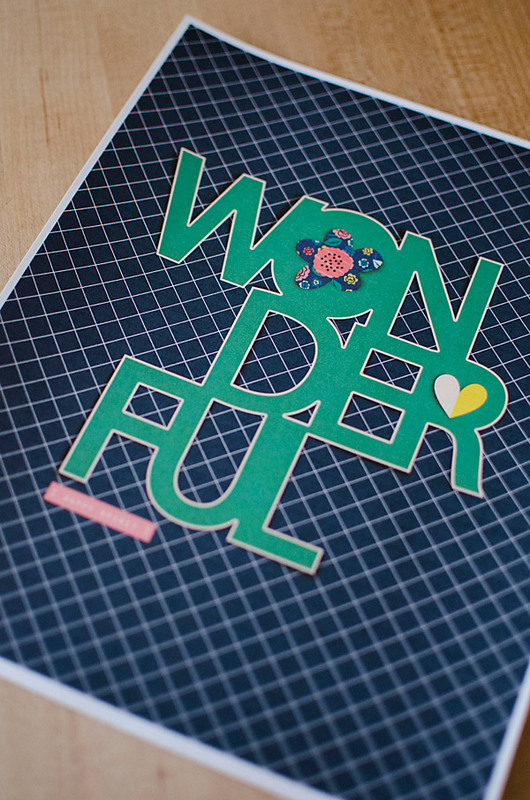 I chose the 'wonderful' cut out from my Totally Awesome Cut Out pack. I used Warm and Cozy Paper from Mommyish, products from Bloom MPM, and the heart is from Totes Adorbs by Sahlin Studio. I just opened up a new 8x10 document in Photoshop, placed my Wonderful Cut Out on top and then got to work decorating it. The hardest part was finding papers that worked together with the color scheme of the room. 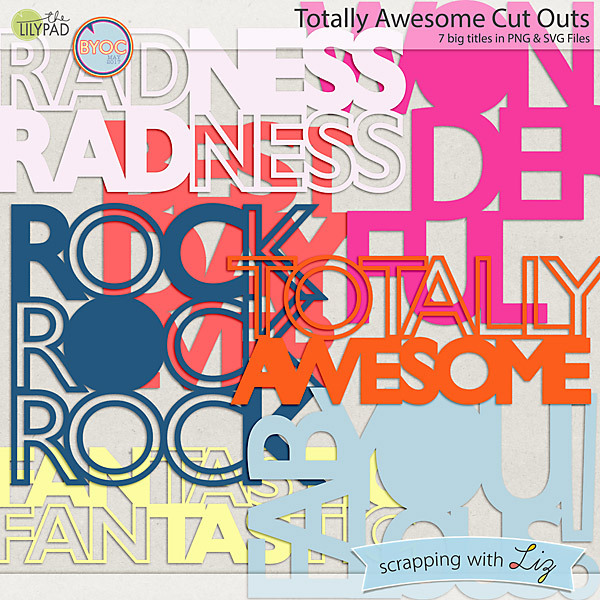 I added a stroke to the outside of the cut out to add more depth. Then I printed it on my home printer and stuck it in a frame. This is totally doable on a silhouette as well - svg files are included. 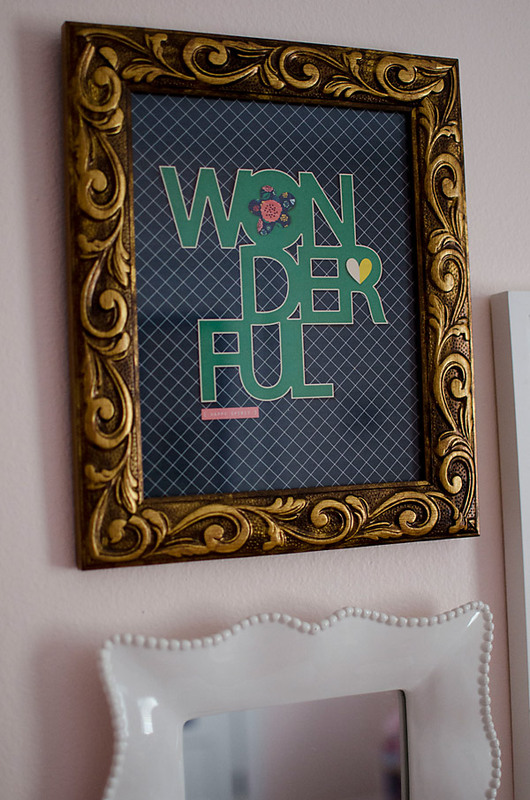 I think it looks great on her wall, and I still have the print I made for her back in 2012! If you want more tips on how to use the Cut Outs Jenn just wrote a great blog post on different techniques to try when using them. There are so many fun ways to use them.